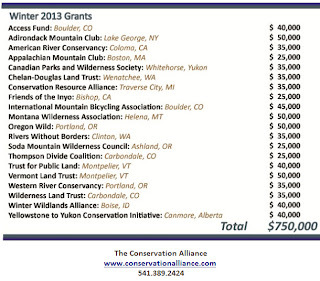 EXPED is a proud sponsor and contributor to The Conservation Alliance, which is made up of outdoor companies pooling their resources to help wild places remain wild as well as accessible. Twice a year we have the opportunity to nominate worthy causes and vote on the final group that will receive support. 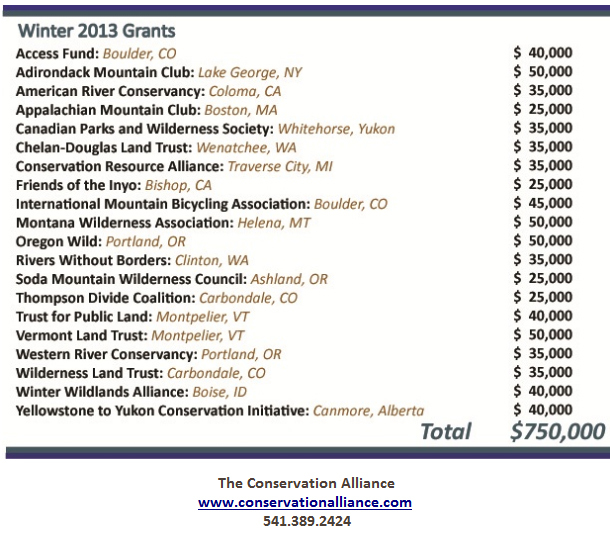 Above is the winter 2013 cycle of grants. Great places and great organizations!